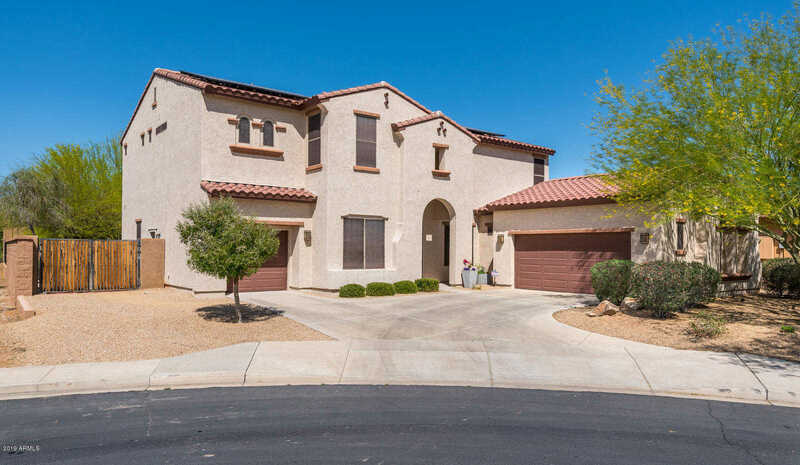 Gorgeous, move-in ready 5 bed, 3 bath home with separate den/office in the highly sought after North Phoenix gated community of Sonoran Foothills. Very desirable lot, north/south exposure, last house in a cul-de-sac, upgraded gourmet kitchen with floor to ceiling cabinets, 5-burner gas cooktop, large breakfast island overlooking a spacious family room, flex room or optional 6th bedroom and full bath on 1st floor. Big bonus room/loft on 2nd floor along with tech center. Enjoy $60 electric bills with the leased solar system. Big backyard with view of the desert landscape. Friendly community has year-round activities, pool, parks, basketball, volleyball, tennis courts. Near hiking & biking trails. 2 exits provide easy access WEST to I-17, Dove Valley Rd takes you east to Cave Creek Rd. Approximate size: 13599.00 sq. ft. Please, send me more information on this property: MLS# 5870995 – $494,900 – 1528 W Calle Escuda --, Phoenix, AZ 85085. I would like to schedule a private showing for this property: MLS# 5870995 – $494,900 – 1528 W Calle Escuda --, Phoenix, AZ 85085.